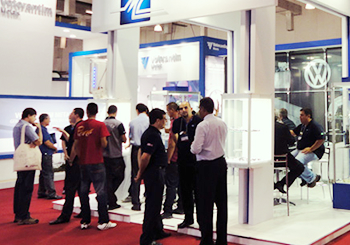 Created in 1979, EBRATS | Brazilian Surface Treatment Encounter and Exposition is a biennial event, recognized as the great showcase and the largest forum in Latin America regarding the dissemination of processes that occur in the entire universe covered by the Surface Finishing segment. 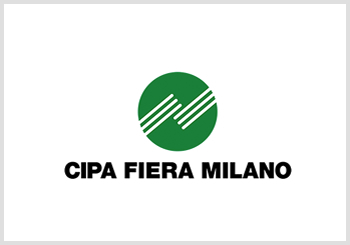 Organized and promoted by Cipa Fiera Milano in partnership with ABTS – Brazilian Association of Surface Finishing, the event stands out for the diversity of products, launches and content offered to the market. 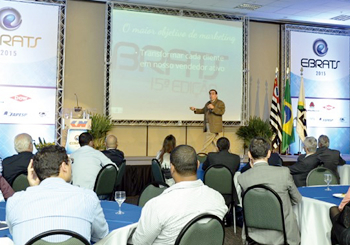 Together with EBRATS, it will also be held simultaneously: the 13th FESQUA – International Trade Show of Window & Door Industry, the largest fair of Window & Door in Latin America, held by César Tavares Comunicações in partnership with Revista Contramarco. Take part of this great meeting! - Free event for industry professionals; - Forbidden to enter the event wearing sleeveless shirts, shorts or slippers; - Forbidden the entrance of individuals aged under 16, even if accompanied by parent; - The fair credential is personal and not transferable and its use is mandatory; - The. Fair organizer reserves the right to withdraw the visitor that cause any disorder or disrupt the smooth running of the event. Your credential will be confiscated and new unauthorized access; - Participants of the fair are aware and agree that the event organizer has exclusive rights to use of image (photos and footage) of people, stands and products to promote the event at any time; - Photos and/or shooting stands and/or products can only be made with the express permission of the exhibitor.